The Cisco A03-D300GA2 is an affordable legacy hard drive for networks that still use the UCS B-Series Blade Server chassis and other older Cisco equipment. With 300GB of HDD storage space, it has ample room for all your important back-ups, including text files, application data, images and mp3s. This refurbished SFF sled-mounted hard drive also has a 10,000RPM spin rate, quickly bringing up these files when you need them. The hot-swap design means you can add or remove it from a server chassis without needing to power down, giving you more network uptime. Each 300GB 6Gb SAS internal hard drive is ruggedly built so you can operate it without encountering disk crashes, error messages, corrupted sectors or disappearing files. 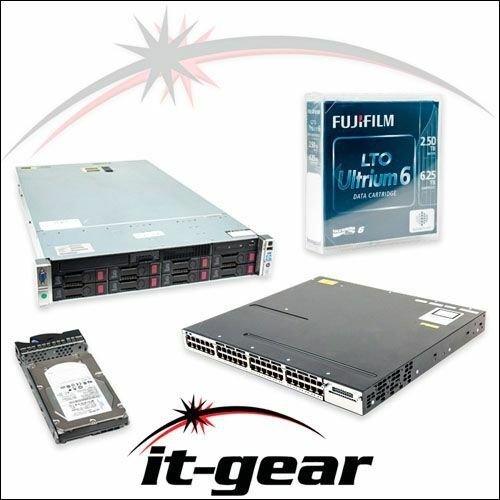 IT-GEAR’s low prices on these refurbished UCS A03-D300GA2 SFF drives mean you can buy several to stack in a chassis at a lower cost than one new drive. If you have questions about which server chassis this drive is compatible with, call or live chat with our in-house technicians. We provide expert assistance for enterprise and data center networking solutions that require legacy hardware.